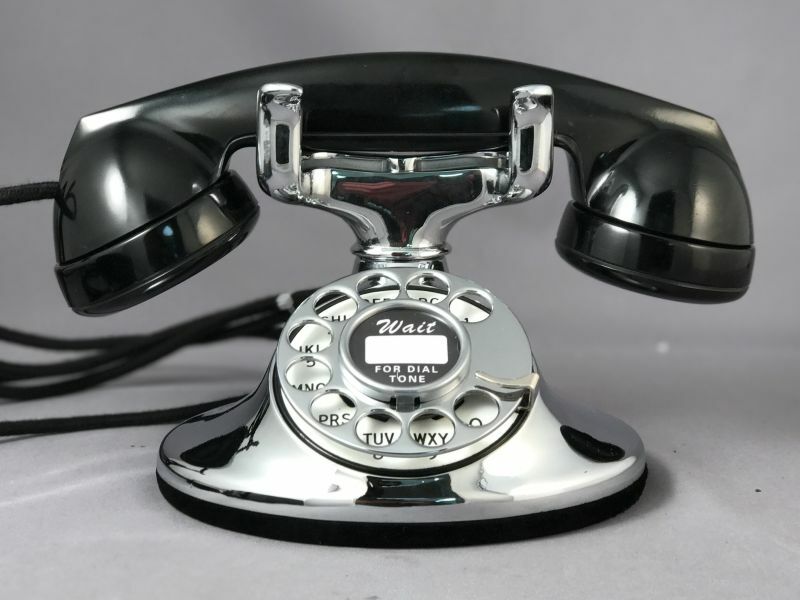 The Western Electric and Northern Electric 102/202 series telephones were the first widely distributed phones which adopted the use of a single handset rather than a separate transmitter and receiver. The Model 102 - B1 mount was available from 1928 - 1930 and is characterized by a round base and raised dial. In 1930 the Model 102 was modified with an elongated ovoid base. This revised mounting scheme was known as D1. At the same time the Model 202 - D1 was introduced on the same chassis with a new "antisidetone" wiring scheme. 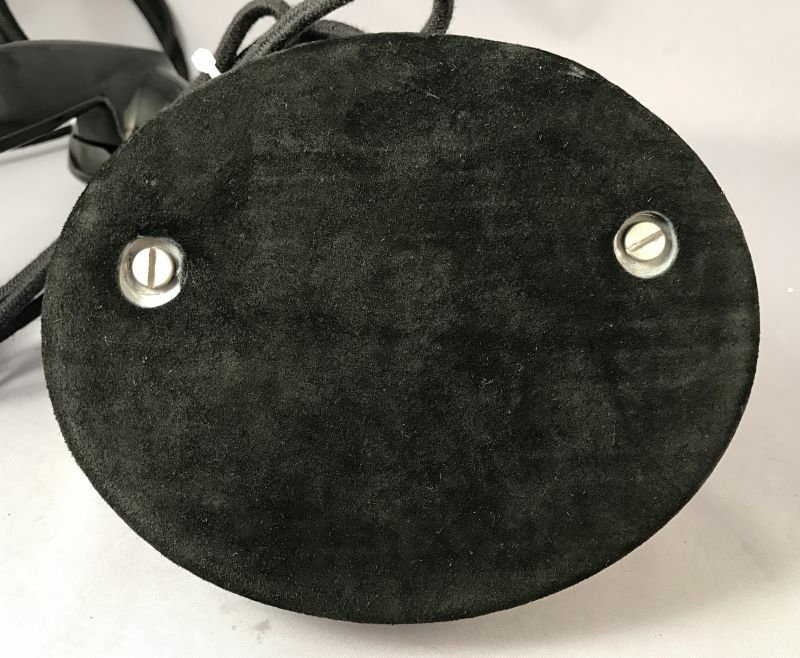 The dial on the D1 chassis was recessed into the front of the phone as opposed to sitting on the frame as with the "102 V B1 mount". 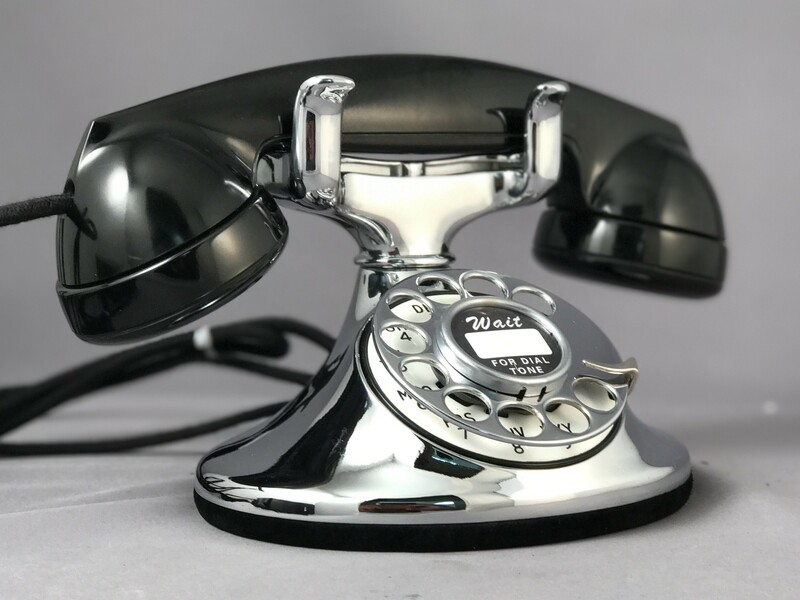 Model 102/202 - D1 telephones were manufactured until 1938. 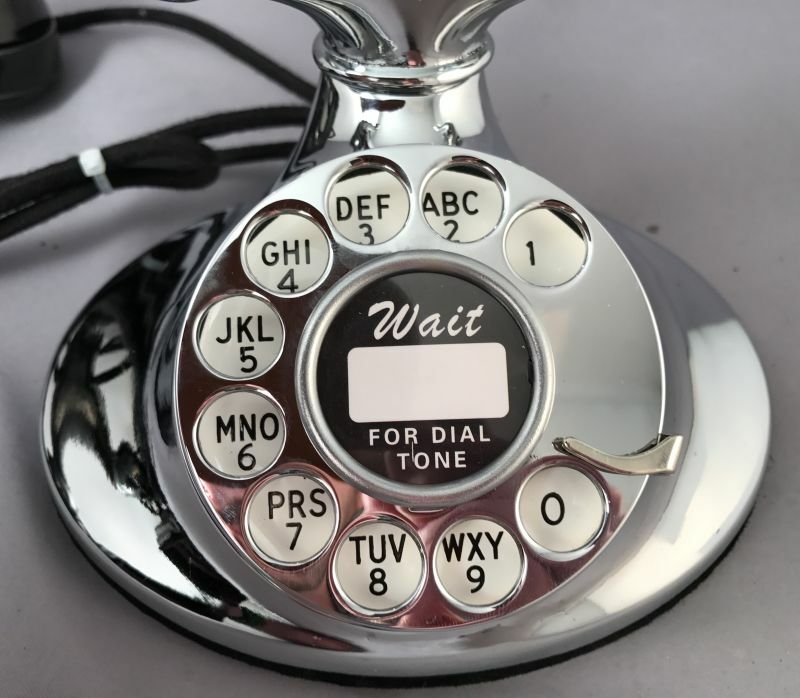 Like the candlestick phone, the 102 and 202 contained only the switch hook and switch. The network and ringer were contained in a subset which was mounted on the wall. This 202 is been upgraded with a modern network in the base that eliminates the need for a separate subset. Due to space limitations in the chassis, there is no ringer internally, although external ringers are readily available. 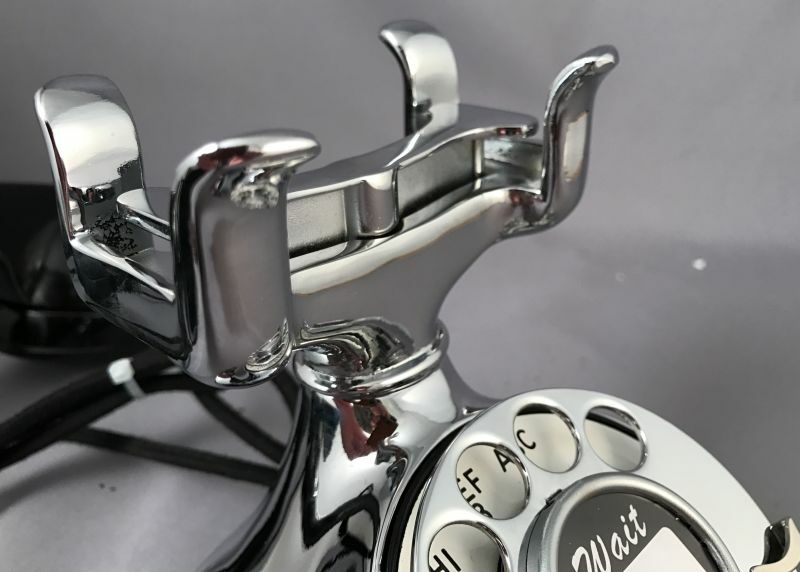 The handset is the venerable F-1 model that is acoustically superior to the older E series handset that was introduced in the 1920s. This 202 dates from the early 1930s and has been freshly chrome plated. There is not a scratch on this to be found. As a finishing touch, a new cloth handset cord, and a modular line cord have been added to this classic. All components have been fully overhauled and tested to ensure that they will function properly both now, and in the years to come. Optional Dials for the 202 Number 6 - Default - The last technology jump for 3 inch dials. A smooth return and light weight for dialing highlight this choice. It is sturdily built and very realiable. Number 5 - The predominant dial of the 40's and 50's was replaced by the number 6 for a more univeral fit. The number 5 dial features a "whiir" sound upon its return and a good weight for dialing. Number 4 - This is the first 5 contact, 3 inch dial. The real joy of the dial lies in the highly sought after "clickity-clack" sound that was eilinated with the introduction of the number 5. 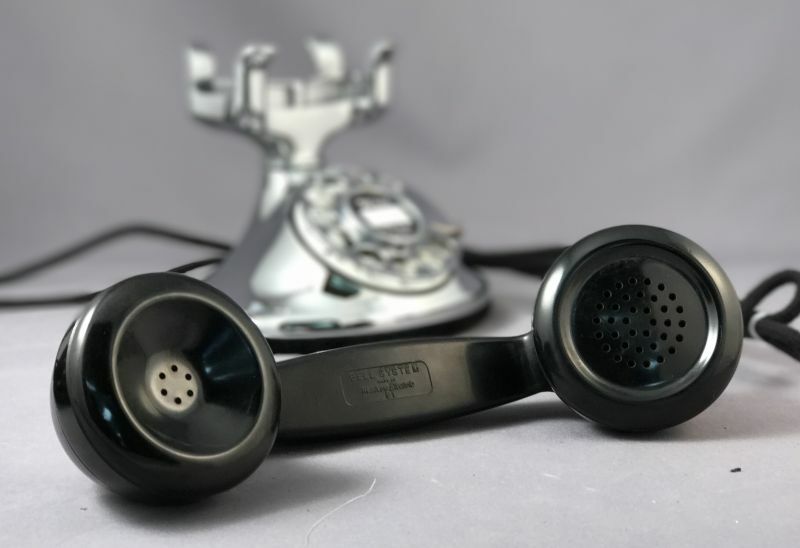 What was eliminated from cutsomer complaints, is now one of the features that collectors look for most in hunting out the vintage phones.